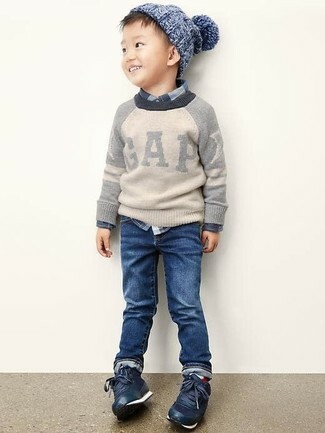 Suggest that your little angel wear a grey sweater with navy jeans for a fun day in the park. As far as footwear is concerned, suggest that your kid go for a pair of navy sneakers. Suggest that your darling choose a white sweater and blue jeans for a comfy outfit. 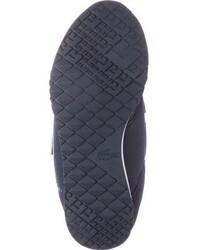 Lacoste infant boys light sneaker from Nordstrom are a wonderful choice to complete this look. 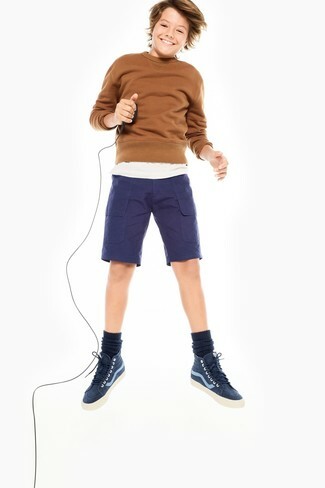 Consider dressing your munchkin in a brown sweater with navy shorts for a comfy outfit. 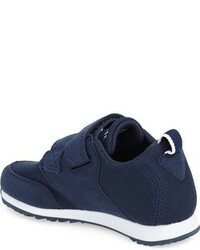 As far as footwear is concerned, let your little guy grab a pair of navy sneakers. 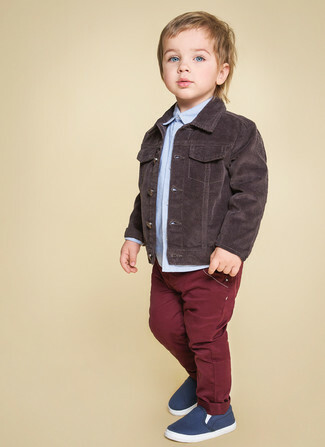 Choose a dark brown denim jacket and burgundy jeans for your little one for a laid-back yet fashion-forward outfit. As far as footwear is concerned, suggest that your little one throw in a pair of Lacoste infant boys light sneaker from Nordstrom. Suggest that your son pair a teal bomber jacket with beige jeans for a laid-back yet fashion-forward outfit. 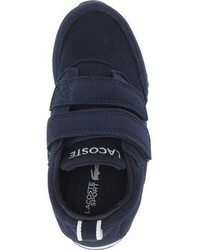 Lacoste infant boys light sneaker are a great choice to finish off this style. 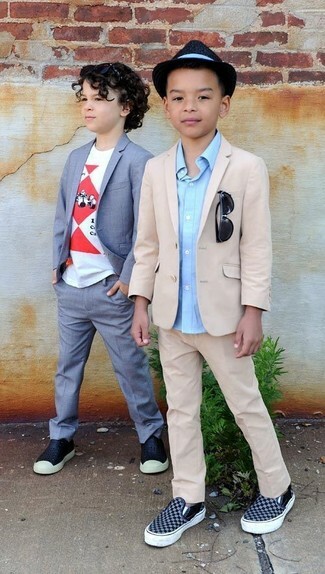 Suggest that your tot dress in a beige blazer and beige trousers to help him look like a true little gent. For footwear throw in a pair of navy sneakers. Go for a pink sweater and light blue jeans for your son for a fun day out at the playground. This ensemble is complemented nicely with navy sneakers. 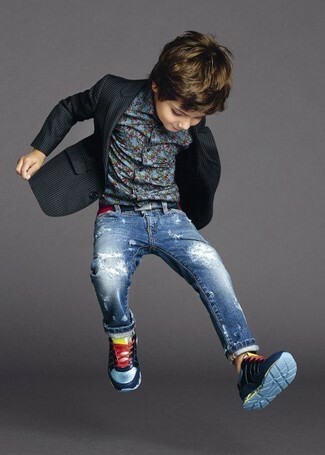 Your kid will look uber cute in a black blazer and blue jeans. 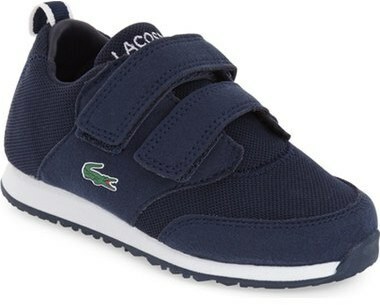 Lacoste infant boys light sneaker are a wonderful choice to complete this look. Suggest that your kid team a brown leather jacket with grey jeans for a laid-back yet fashion-forward outfit. 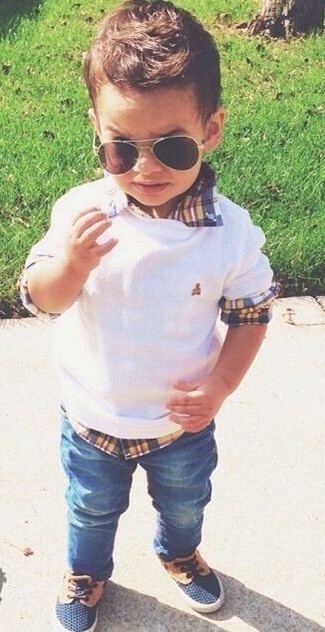 This look is complemented wonderfully with Lacoste infant boys light sneaker from Nordstrom.